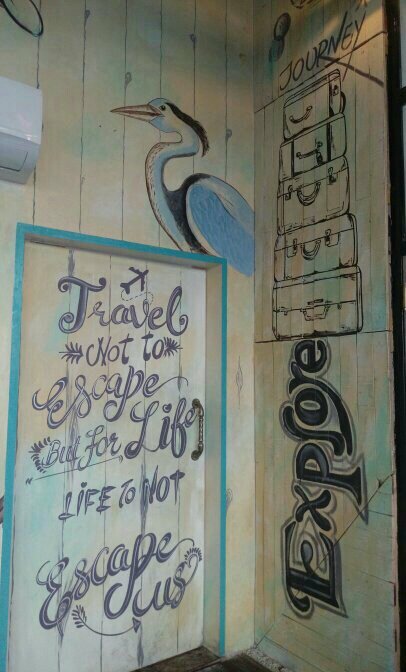 Few places are a complete package. 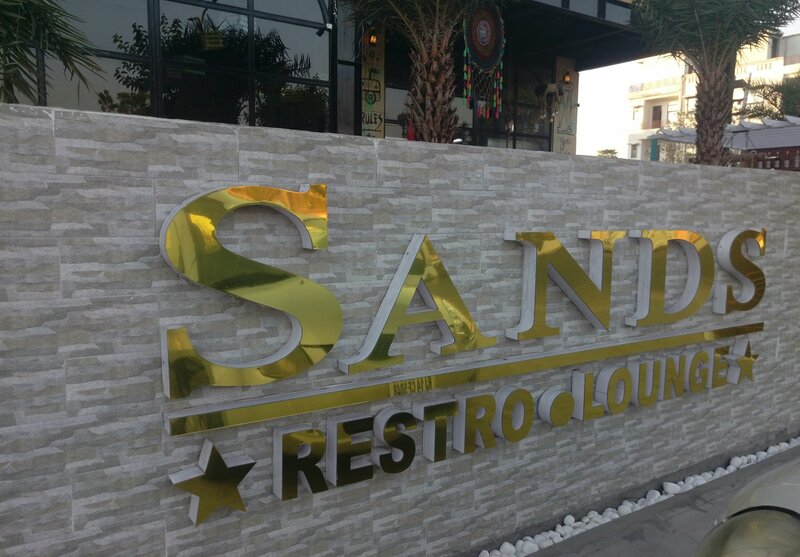 Sands is one such restaurant in Jaipur with one of the widest menu I have come across so far while dinning at Jaipur. 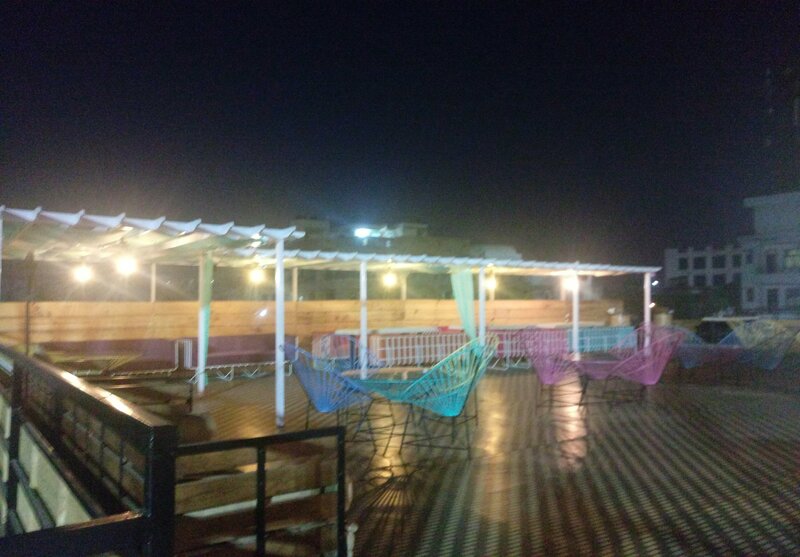 They offer a great range of cuisines with a sitting that’s equally appealing from beach setting, to open air terrace, shacks and cozy corners for couples to long tables to host family dinner or corporate tables. 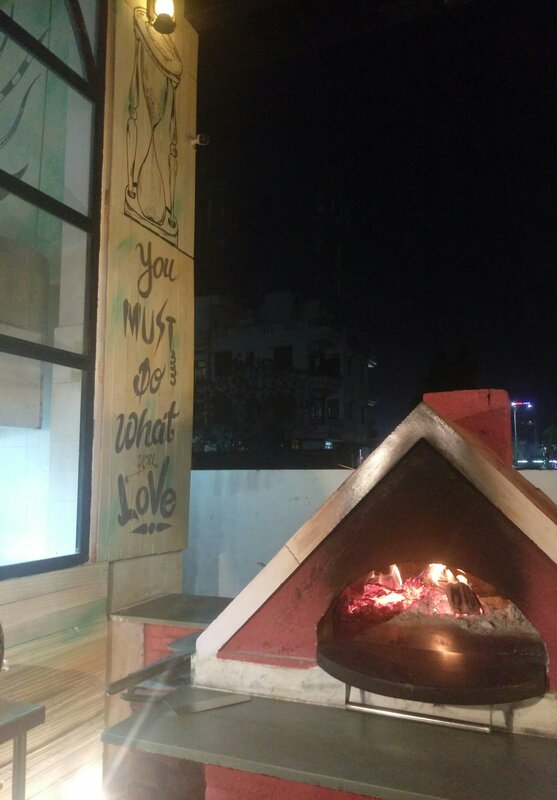 It’s one place to go for authentic north Indian cuisines or wood fried pizza which very few outlets in Jaipur do. An open kitchen that builds your trust as you enter the place. 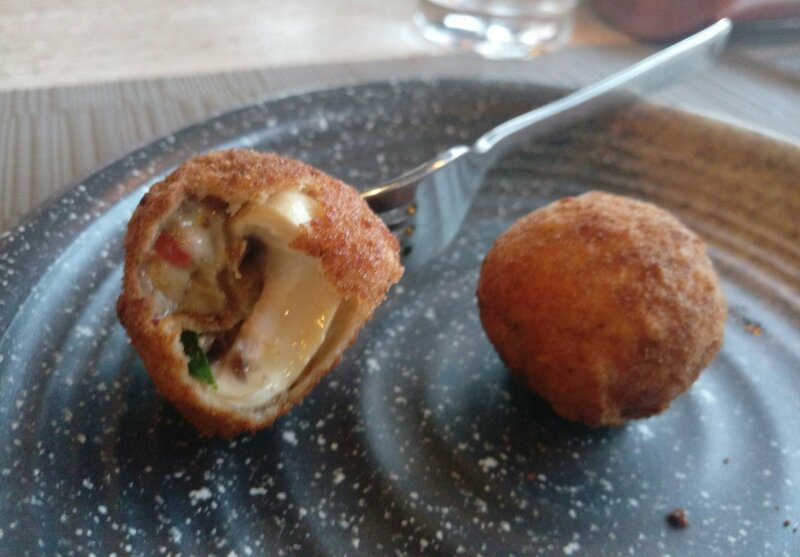 And this was further build while I opted for a chef special dal. 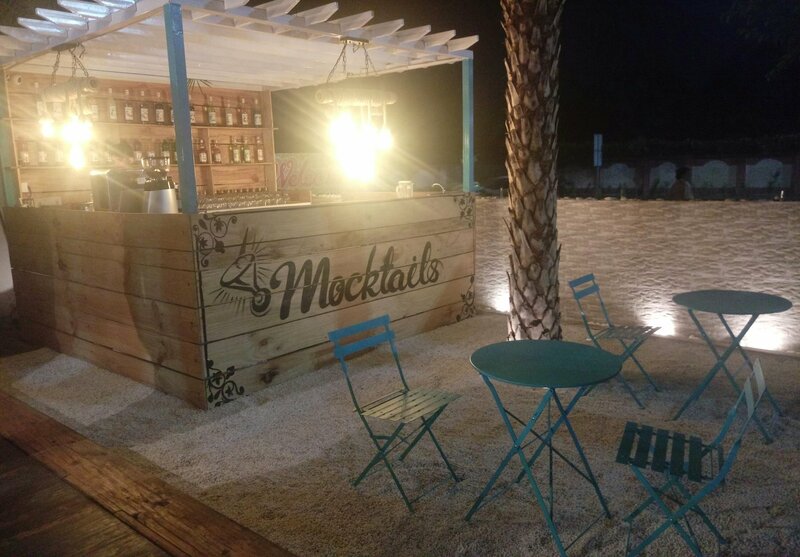 Dedicated mocktails area to serve you drinks and coffee just under the sun, making it a place to chill even in summers. Jaipur city is all about their warm and welcoming gestures to their guests specially tourist. 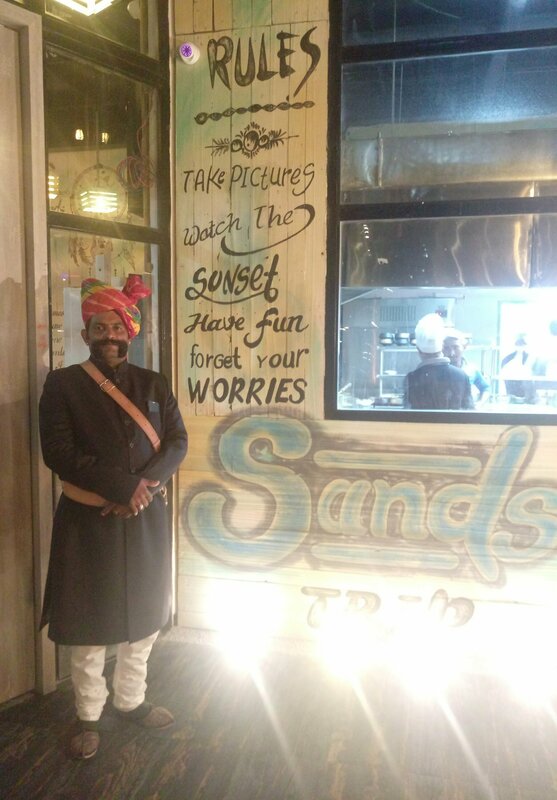 While everything about this place is chic and modern, still having a gateman adds to the #Jaipurness in its own way. And he is too too cute, you can probably make out with his poses. And the quote stuck me as we entered while it was 4:30 and when we stepped out it was already night. I did as it said – Take pictures, watch the sunset , have Fun and forget your worries. This was a good predictions as thats what happened with me while being at Sands. So moving on to what I had at Sands. Being a north Indian that’s where I rate the quality of food served. Started off with soup. 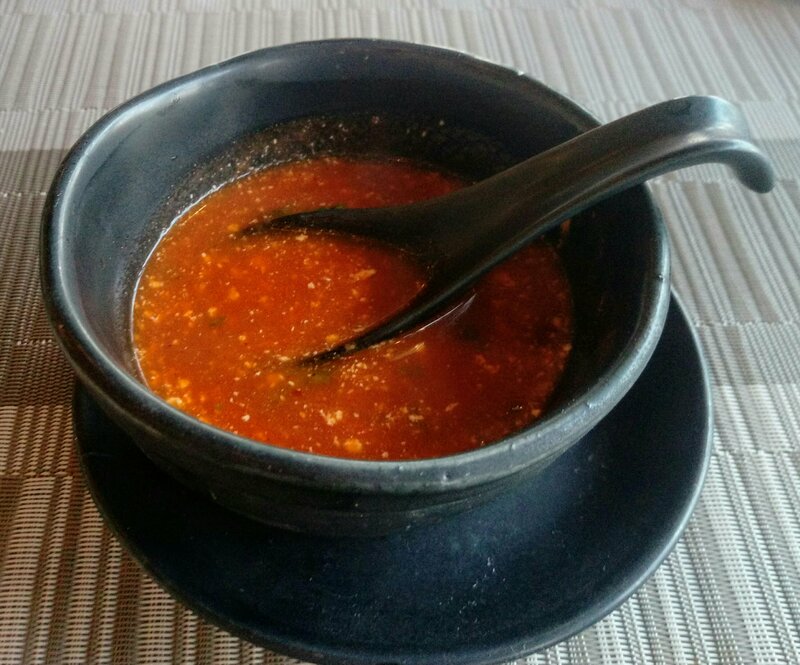 Roasted tomato soup : This is the kind of nirvana I needed while having a blocked nose and soar throat. Great on taste and temperature. Had it as 1 by 2. Main course : Dal with a Paneer gravy is all a vegetarian needs to call it a meal. Dal Ghotala , Paneer Musalam and my favorite crispy Tandoori Roti without butter. 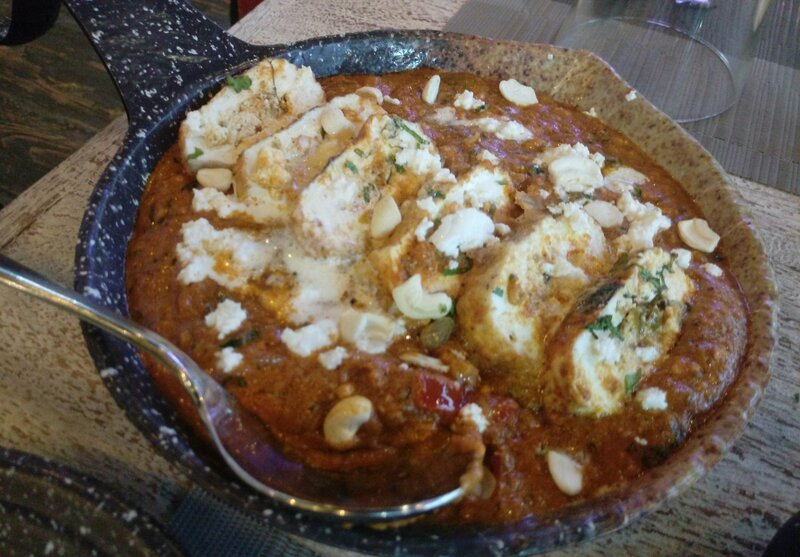 Paneer Musalam : A rich gravy dish of Paneer with stuffed Paneer. Qualitywise it was more than enough for 3 people with dry fruits garnishing. Loved it truly. 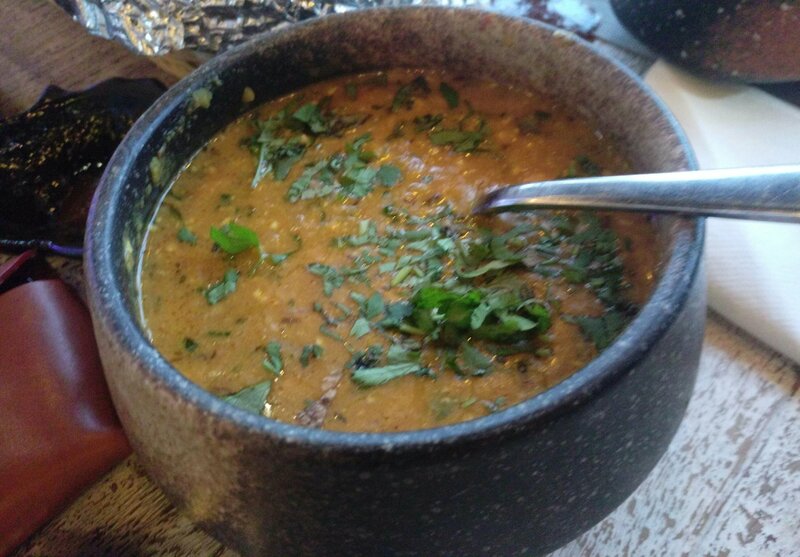 Dal Ghotala : I have this habit of picking up at least one dal in main course, generally it’s chef special Dal Tadka at most of the places. 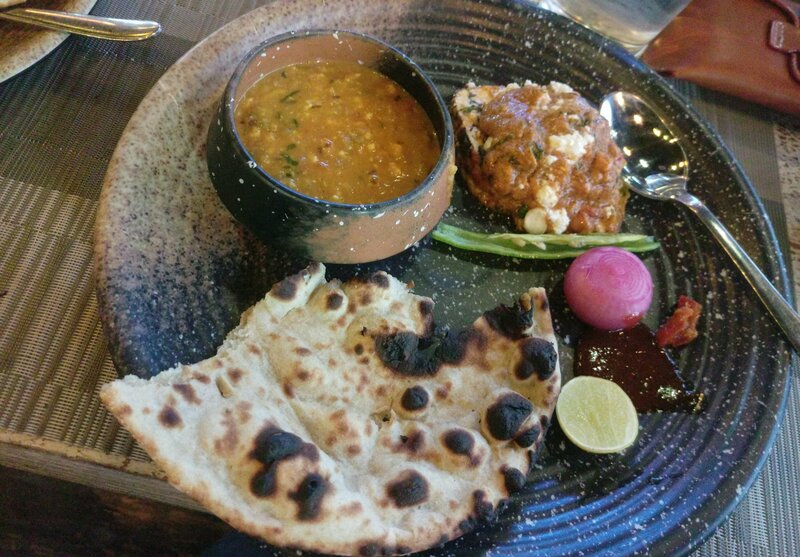 But here when I asked for it, they recommended their Dal Ghotala which is basically a combination of 2-3 lentils cooked open and made with grated paneer being added to it, giving it a smooth consistency and a very good flavor. Off course you ll not like it if you don’t like Paneer. 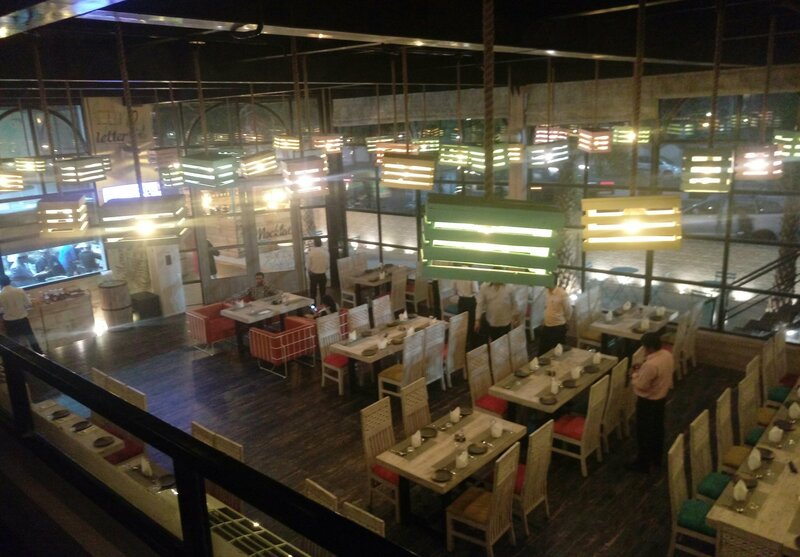 Overall had a great service and dinning experience and for all the above it just costed me Rs. 1176 ( including GST) , isn’t it a great deal, or may we from Delhi standards it is. But have checked locally also it was decently priced and best part value for money.